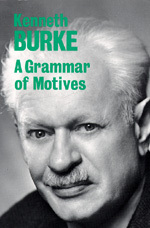 About this book Mr. Burke contributes an introductory and summarizing remark, "What is involved, when we say what people are doing and why they are doing it? An answer to that question is the subject of this book. The book is concerned with the basic forms of through which, in accordance with the nature of the world as all men necessarily experience it, are exemplified in the attributing of motives. These forms of though can be embodied profoundly or trivially, truthfully or falsely. They are equally present in systematically elaborated or metaphysical structures, in legal judgments, in poetry and fiction, in political and scientific works, in news and in bits of gossip offered at random."